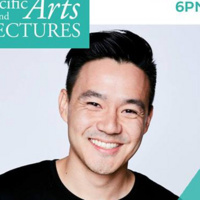 In celebration of Asian, Pacific Islander Heritage Month, UOP's APIHM Committee is proud to announce that our guest this year for our annual speaker event is Wong Fu Productions! Featuring a special screening of Yappie, a panel discussion, and audience Q&A, you won't want to miss this exciting event. Through the support of Pacific Arts & Lectures Committee and the various amount of multicultural clubs and organizations at University of the Pacific, UOP APIHMC is able to host this FREE event to the entire Stockton community! Asian Pacific Islander Heritage Month is an important way for the students to reconnect with their culture and keep in touch with their history. By hosting events, we aim to raise awareness on campus and inspire students to appreciate their heritage. If you need reasonable accommodations to participate in this event, or have additional questions/concerns, please contact Shirley Pham (s_pham14@u.pacific.edu).